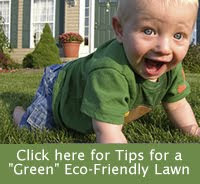 Susan McCoy and the team at Garden Media Group have come up with a list of Garden Trends for 2012 that may just indicate that eco-friendly gardening has reached the tipping point to becoming the new norm. Their 2012 Garden Trends Report predicts a generation of environmentally conscious Gen X & Y’s, driven by a desire to preserve and protect the earth’s resources, planting drought tolerant, low-maintenance gardens as food for their bodies as well as their souls. Here are some excerpts of what McCoy and her team of Garden Media Group trend spotters see for gardening in 2012. Urban-Knights. A growing army of ‘urban-knights’ are creating oases wherever they can find a patch of earth. They’re planting shrubs, flowers, edibles and pop-up gardens on balconies, in alley ways, and on street parklets – even in abandoned buildings and walk-in shipping containers. From yard sharing and raising chickens to ‘step gardening’ and harvesting rain water, urban knights are finding a ‘new good life’ by getting grounded with the earth. Occupy Local. People are “occupying” local farmers markets and joining CSA’s (Community Supported Agriculture) for fresh produce, plants and products. “Farmers markets are our new backyard veggie gardens and are becoming our local grocery store,” says McCoy. According to the U.S. Dept of Agriculture, sales of “locally produced food” reached $4.8 billion in 2008.They project that locally grown foods will generate $7 billion in sales dominated by fruit and veggies this year. Mindful Consumption. According to the 2010 Cone Survey, 83% of consumers still want to see more brands, products, and companies that support worthy causes. “We’ve finally moved from “me” to “we” and consider our earth and each other when we purchase,” says McCoy. Water-Watchers. “There is no single issue greater than water,” says Dr.Hall. Recent drought and regional water restrictions are causing us to grow plants, flowers and vegetables with less water. Seedlings. From the White House to the neighborhood schools, kids are learning how to grow their own food and take care of the planet. McCoy says we’ve ignored two generations of gardeners and need to get kids back to having fun growing things. There is much more in the 2012 Garden Trends Report , which you can download from their website (in pdf format). But the statement that stands out the most to me is this: A generation of gardeners that thinks of “we” instead of “me” when they garden has to bode very well for the future of our planet.